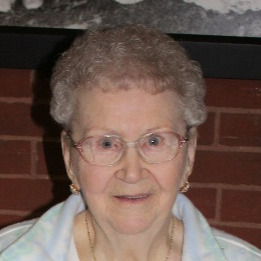 Doris Gripp Sass, 99, Kansas City, KS, died Tuesday, April 2, 2019 at the River Bend Nursing Home. Visitation will be from 10-11 a.m. with the Memorial Service at 11 a.m. Friday, April 5, at the Porter Funeral Home, 1835 Minnesota Ave. Kansas City, KS. Burial will be in the National Cemetery, Fort Leavenworth, KS. In lieu of flowers the family suggests memorial contributions to the Alzheimer's Association. Doris was born March 15, 1920, in Phillipsburg, KS the daughter of David and Lotus (Hawkins) Patterson and was a 1938 graduate of Lafayette High School in St. Joseph. On January 7, 1942 she was married to Arden Gripp in San Diego just before he was sent to the South Pacific with U.S. Army. She then returned to the Kansas City area and became a "Rosie the Riveter" at the North American Bomber Plant during World War II. Doris had attended Victory Hills Church of the Nazarene and the Welborn Community Church. She was preceded in death by her parents, her husbands, Arden L. Gripp in 1977 and Joe Sass in 1993 and her 7 sisters and 1 brother. Doris is survived by 5 children and their spouses, Edward and Bonnie Gripp, Donald Gripp and Eula Rose, Robert and Christine Gripp, Ardith and Otis Pearce, Mary Beth and Don Palmer, 13 grandchildren, 36 great grandchildren, 4 great great grandchildren and numerous nieces and nephews. We are so sorry to hear of the passing of Doris but what an incredibly long,full life!! “Rosie the Riveter” has always been one of my heroes-God bless her! She was such a sweet, soft spoken woman & we always enjoyed seeing her at Welborn-she was a stalwart of that Church. It is always hard to say gpod bye to your loved one but 99–that is amazing!! God bless her entire family (& what a LARGE family!) and may the Lord heal your hurting hearts. I remember Doris when we attended Welborn Church together. Doris was a lovely lady and always a sweet smile on her face. God Bless each of you as you grieve this wonderful lady. My sympathies to the Sass family. Doris was such a sweet person and we enjoyed her at Welborn Community Church. Will keep you in my prayers.